A Spice Girl leant a touch of girl power to a campaign that smashed through its participation and fundraising targets, generating more than 100 pieces of coverage. The inaugural #SleepWalkForShelter campaign was run by PR agency The Academy. The purpose-led mass participation event not only generated funds for the housing and homelessness charity Shelter, but rallied a younger audience around the charity’s mission to defend the right to a safe home for all. 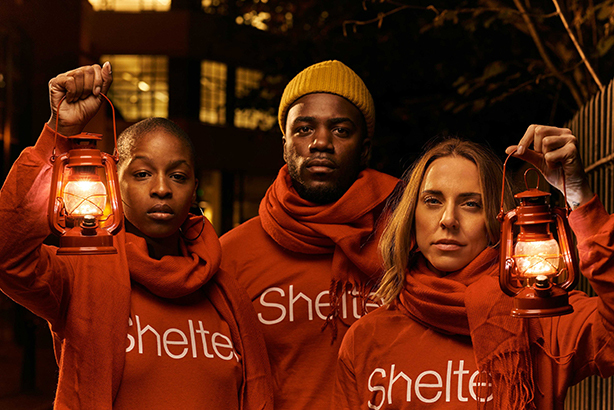 Shelter supporters, including Spice Girl Mel C, presenter Julie Adenuga and comedian Mo Gilligan, helped launch the 10km night walk in London during December last year. The Christmas period was chosen to run the campaign as it is the most important time for fundraising, with 60 per cent of income generated during this period. Research revealed that 135 families across Britain become homeless every day over the Christmas period. The campaign garnered thousands of social mentions, likes and shares, and 1,000 places were filled within a week of registrations opening. More than £230,000 was raised, nearly three times more than the original £80,000 target. In preparation, The Academy’s insights and data team studied the UK’s top 50 charities to analyse exactly what type of events appealed to what type of audiences. They found that mass participation events that were either sporty or social in nature resonated most effectively with a younger audience, while additional research undertaken with Shelter supporters revealed they were much more politically minded than other charity donors. They gave money not just to help the homeless, but to fight to end homelessness. The PR agency’s in-house events and design team planned a route that incorporated a ‘house’ shape for participants to walk around while passing along the Southbank, Tower of London, Tower Bridge and St Paul’s Cathedral. All of which were lit red for the occasion. The Academy chief executive Mitchell Kaye said: "I think the challenge for Shelter was to achieve both fame and fortune, raising awareness and money. The campaign really needed to do both. From our point of view we were really happy, as both targets were hit, and beaten. In the end the biggest challenge was managing the demand, but that really isn't a bad problem to have." The event’s success means it is due to be rolled out nationally this year and predicted to raise over £500,000 to help Shelter in its mission to end homelessness.